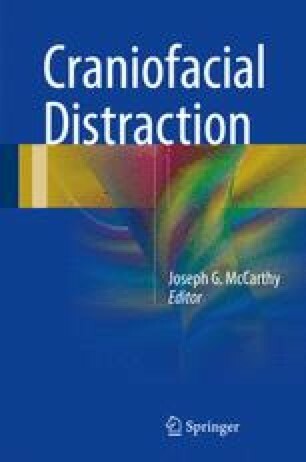 Bipartition distraction is a novel procedure combining frontofacial bipartition and monobloc distraction. Apert syndrome and other syndromic craniofacial dysostoses are often characterised by hypertelorism, with a negative canthal axis and counter-rotated orbits. Central midface hypoplasia can result in a biconcave face in both midsagittal and axial planes. Bipartition distraction is an effective procedure to differentially advance the central face in Apert syndrome and improves both function and aesthetics.